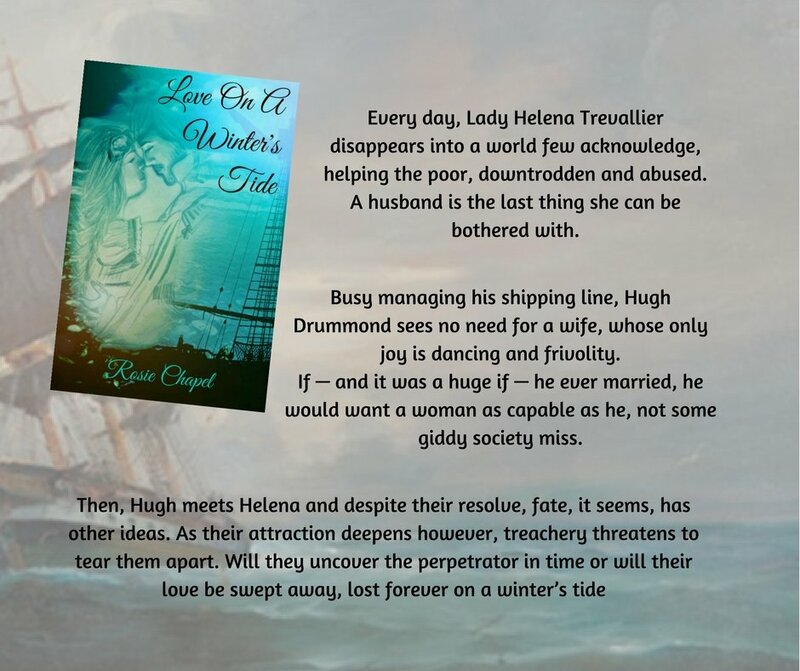 Helena Trevallier first appears, albeit briefly, in Once Upon An Earl and she has been nagging at me ever since to write her story – quite insistent she was. 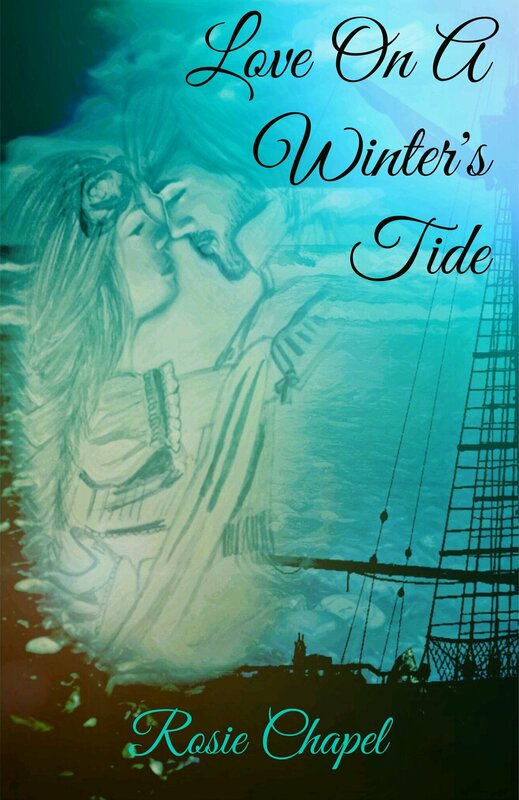 Finally I gave in and Love on a Winter’s Tide is my third Regency Romance, one, which unexpectedly led to two more. So yes, as seems my habit, this will be a series and there will be five all together. Helena, youngest sister of Giles is desperately trying to avoid being swept up into the marriage-go-round. So, although she attends all the social gatherings expected of a young lady of the ton, she is far happier in another world; a world unrecognisable to her peers, a world where she spends her days helping at a refuge for underprivileged women seeking respite from abusive husbands or situations. Hugh Drummond, is a wealthy shipping magnate and although not a member of the ton, does move within their circle. He is as determined as Helena not to get sucked into matrimony; he has far more important things to be concerned about than marriage to some air-headed debutante, only interested in dancing and frippery. One night, at a ball, Helena meets Hugh – and yes, you can see where this is going can’t you! Their relationship is not all plain sailing, as neither is willing to relinquish what they have fought so hard to achieve. Helena has no intention of giving up her work at the refuge – something most husbands of the elite would expect their wives to do after they wed – if they swallowed their pride enough to allow such freedom in the first place. Hugh spends long hours managing his shipyard, which has suddenly become the target of a series of strange incidents that may yet undermine his company. Any thought of marriage while everything was so unpredictable was, to Hugh, untenable. Fate, of course, has other ideas! Until I started this novel, I knew scarcely anything about ships of this (or any) era. How they were designed, constructed, their purpose, strengths, weaknesses anything. I admit to becoming enthralled by the majesty of the shipping trade and how quickly it was developing. Thankfully, I have read all the Patrick O’Brien’s Aubrey-Maturin series, so I had some insight into how competitive and cutthroat the industry was, which inspired the skulduggery abounding in Hugh’s shipyard. It was also a revelation researching the seedy side of London during the Regency era. The lives of those who were generally beneath the notice of the nobility. Cramped conditions, squalor, disease and poverty was a daily struggle and a dangerous combination, one I imagine exploded far more often than is recorded. This is where Sanctuary House came in, offering a haven for any who needed an escape, if only for a short while. To provide lessons in such basics as reading and writing, or perhaps to teach a skill which might lead to opportunities previously considered impossible, seemed like something the more socially aware members of the ton might get involved with.